IPKO Foundation projects aim to instill positive change among the society and make active citizens a part of the era of change, as well as united in their embrace of technology, Internet, and the information society. Apart from focusing on its very own technological projects like Digital Kosovo and DOKU:TECH, IPKO Foundation has also been directly involved in the implementation of relevant projects with partners. 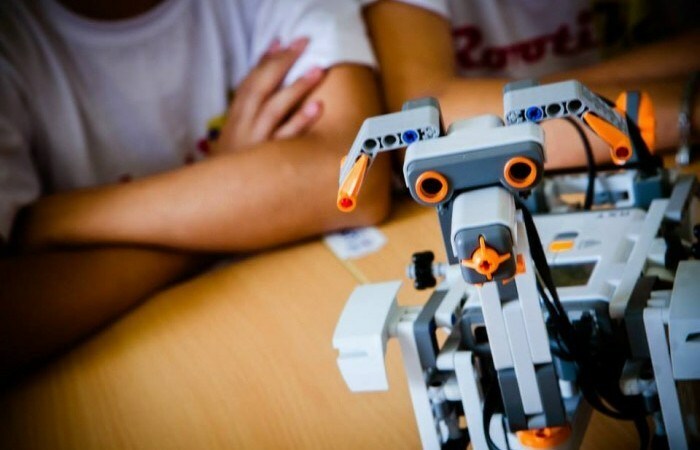 In the preceding year, IPKO Foundation has funded nine (9) students to participate in summer robotics camp called “RobotiKS,” organized by the Basic Education Program. This funding was a prize for the three best works in LEGO category in the Design Challenge competition. “Design Challenge” project gathers technology teachers and talented students in one place once a year in order to work together in LEGO and Computer Control Box category. This activity is a modern event which serves as a workplace where students use the necessary tools to demonstrate their skills in this field. The main goal of this project is to encourage all creative youngsters to create something special in the field of technology, and then present their work in front of the professional panel. IPKO Foundation’s contribution towards developing the young generation of leaders is once again exemplified by this successful project. IF calls for continuous support of projects that aim to develop the young generation, who will have an important say in the development and the future of our country.